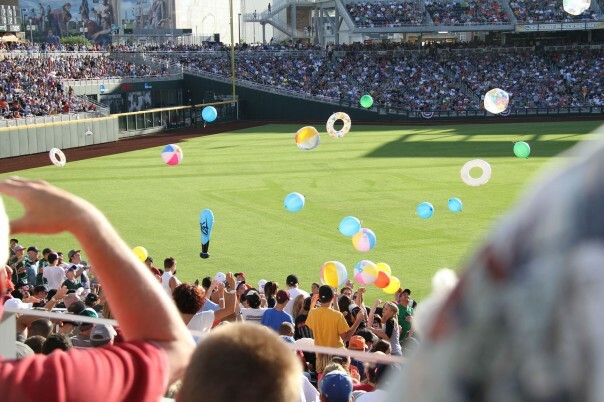 College World Series, TD Ameritrade Park. Photo copyright HDR. Architecture creates space for people to interact. Even as we move to a virtual society, one thing that will never be replaced is the “live” experience. A unique connection occurs between people when they interact in real life; it gives rise to an energy that is life, that cannot be replicated. This entry was posted in Architects and Architecture, People / Places / Projects on March 11, 2015 by Bruce Carpenter.